Computational studies have attracted the attention of researchers to understand the structural behavior of the molecules. These methods grade complex systems for novel properties with new predictions in areas of physics, chemistry and biology useful for conduct of experimental studies. Nanoparticles in present day technologies have become integral part in diverse areas of science mostly with metal oxide nanoparticles. 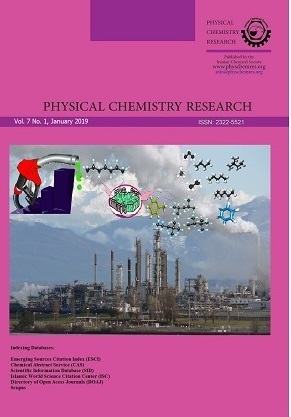 To understand the role of nanoparticles in physicochemical process, iron, zinc, aluminum and copper oxide nano particles were conjugated with cholesteryl stereate in formation of complexes with ultrasonication. Infrared and Raman spectra confirm bonding between cholesteryl stereate and metal oxide nanoparticles. Computational studies of cholesteryl stereate complexes with Gaussian 03 were analyzed for deterministic properties i.e. dipole moment, energy gap, electrophilicity index, polarisability and first order hyperpolarizability that are responsible for electrooptical activity. 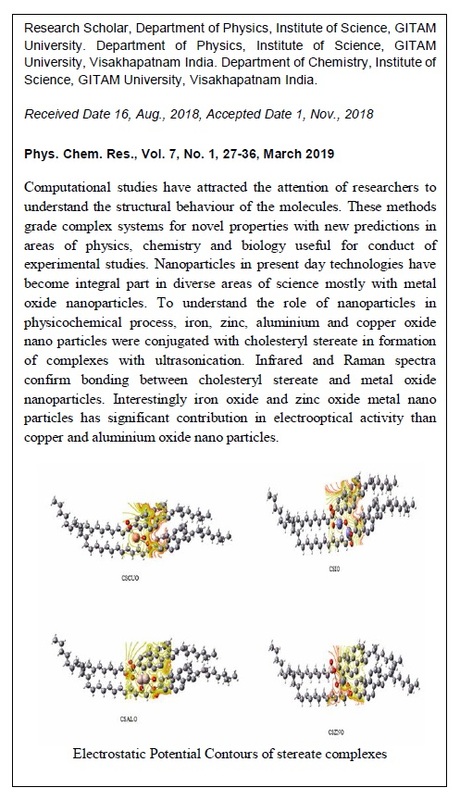 Interestingly iron oxide and zinc oxide metal nano particles has significant contribution in electrooptical activity than copper and aluminum oxide nano particles.